Chapter 1: What Kind of Business Will You Grow? K.I.S.S. – Keeping It Simple, Sister! Cheat Sheet: 5 Creative Ways to Put Yourself First WITHOUT the Guilt. In my book, you say that we can find links to free printable calendar sheets (pg. 22) on your site. Please steer me in the right direction because I’ve been searching and can’t seem to find the links. In my book, you say that we can find links to free printable downloads on your site. Please steer me in the right direction because I’ve been searching and can’t seem to find the links. I’ve even looked at other responses and still nothing. 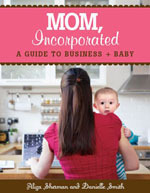 Our downloadable worksheets are here: http://momincorporated.com/category/worksheets/ and also you scan in the QR code on the back of our book to access a video and more worksheets.